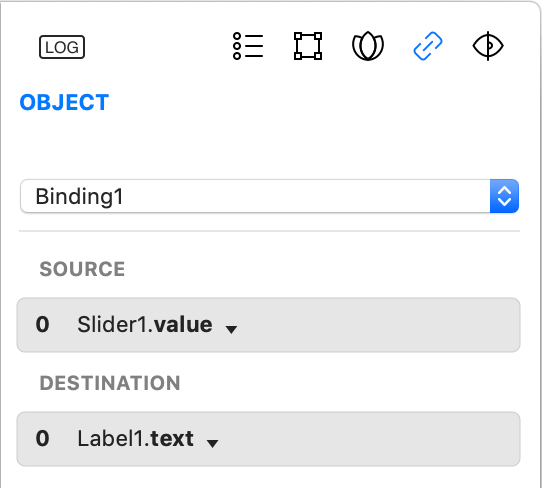 The Inspector on the right lets you adjust the settings for the currently selected object, it will be probably one of the most used ways to set initial properties for an object. It is important to realize that all the settings set in the Inspector will be the initial properties of the object once it will be allocated at runtime. Inspector is then divided into sections. This section represents the properties of the selected object. Every object has this section active, even if not all properties that are available at runtime are listed here. For a complete list of available properties, the class for the selected object should be examined. This section is dynamic and its content changes based on the class of the selected object. 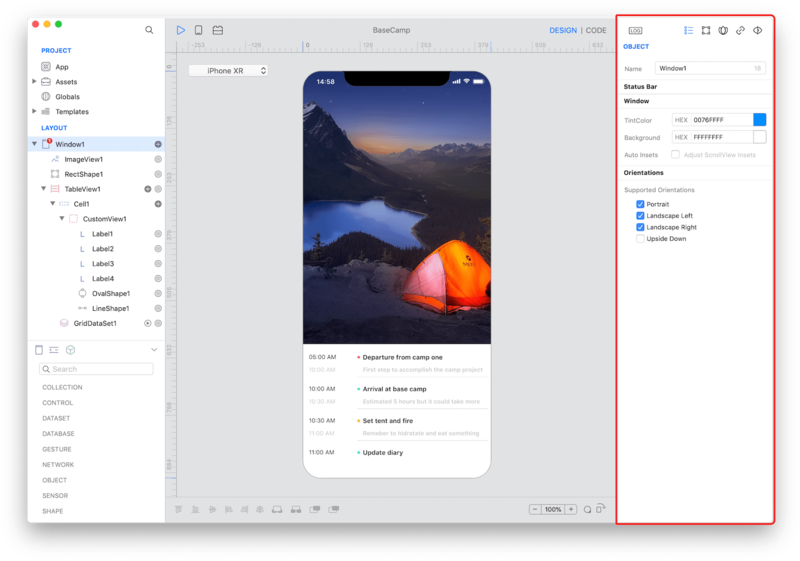 The Geometry section is available only for objects with a user interface (technically speaking for each object that inherits from UIView or UIControl). This section let you specify size, autoresizing behavior and other common properties like appearance and transformation. 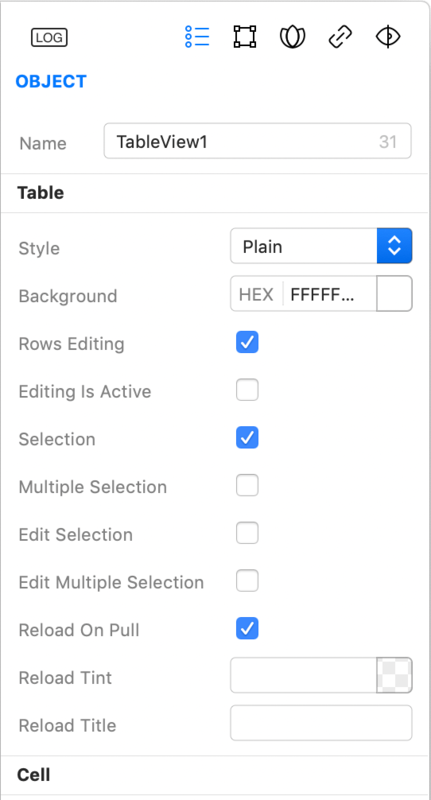 The Flex section gives you the ability to set all the flexible layout related properties. With these settings your controls can automatically be adapted on any platform with any device size. More information about how Flex works in the Flex documentation. The Binding section is available only for binding objects and gives you the ability to build complex binding with just drag and drop operations. Objects on top represent the source of data while objects on the bottom are the destination of the source of data. More information is available in the Bindings documentation. 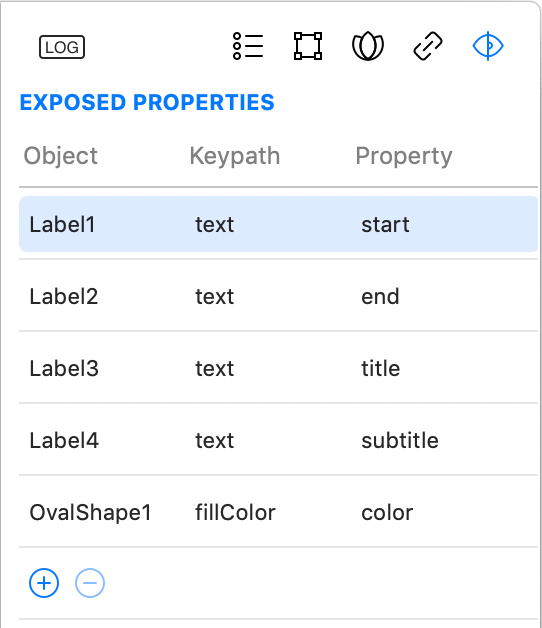 The Properties section is available only for custom view and enables you to specify which (and how) internal properties are exposed to others objects. This section gives you the ability to also expose Gravity properties. Documentation version 20190417 - Edit on GitHub Documentation | Community | ©2019 Creolabs Inc.